You know the problem: You and your sweetie are out for your romantic evening stroll, but the Chicago weather is so crisp that you have to wear gloves. 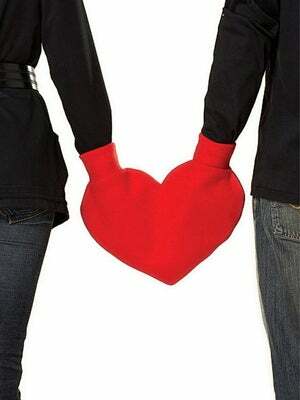 Holding hands with your partner then becomes an awkward, impersonal, wool-swaddled mess. No more! Now there's this thing to the rescue! Technically called a "Smitten Snuggle", this device ensures you can connect with your beloved at any temperature. Perfect for couples who have been together so long that there's literally no Valentine's Day gift left in existence that hasn't already been given. What will they think of next? Valentines Day Heart Shaped Smitten Snuggle, $18, available at Etsy.